Leading Manufacturer of mustard oil filling machine, edible oil filling line, vegetable oil filling machine, lubricating oil filling machine, oil jar filling machine and 15 litre tin oil filling machine from Ahmedabad. We offer fully automatic Mustard Oil Filling Machine, it's work on volumetric piston filler base. It widely used in oil industries with high speed & high accuracy. It is very easy to operate. We offer Edible Oil Filling Line is fully automatic oil line with edible oil filling capping and sticker labeling machine. 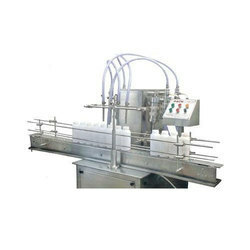 We offer vegetable oil filling machine is volumetric piston filler base machine. 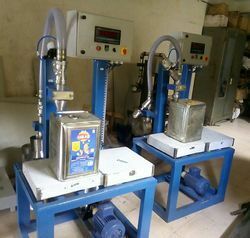 We offer lubricating oil filling machine. Run on volumetric piston filling system. Very easy to operate. We offer semi automatic oil jar filling machine is work on load cell base system for high accuracy with good speed. Also use for oil tin of 15 liter filling. Use in edible oil industries, lubricating oil industries etc. We offer semi automatic 15 Litre Tin Oil Filling Machine is loadcell base machine. We offer speed and accuracy in 15 Litre Tin Oil Filling Machine. 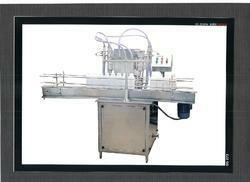 We offer Mustard oil filling machine which is fully automatic pouch packing machine. 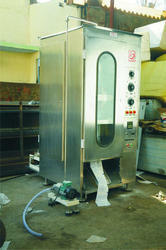 Looking for Oil Filling Machine ?